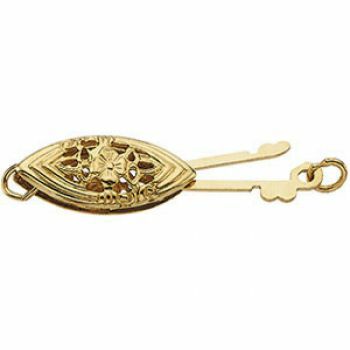 Description: Pearl clasp with fish hook catch. 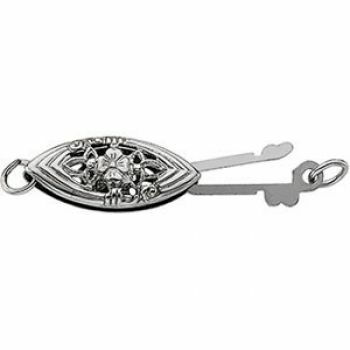 Has an embossed filigree design with a closed jump ring on each end. Used for pearl and beaded strands. Available in 14k yellow or white gold. Measurements: The outside diameter is 13.5x5.75mm with an inside diameter of 1.4mm on the connector rings.